Whether they play football, basketball, soccer, or virtually any other type of sport, young athletes need to have good stamina and endurance. Even if you are a pro at making jump shots or an all star on defense, if you get winded 25 minutes into a game, you’re not going to be playing at your full potential. Stamina and endurance are the traits that help athletes overcome fatigue and play for longer periods of time. Fortunately, these abilities are not just something you’re born with – they can be built over time. 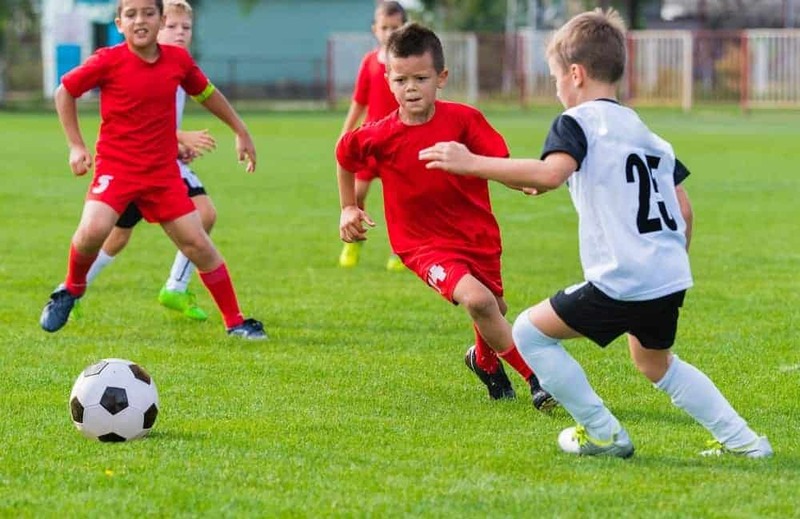 To help the young athletes and coaches who read our blog, Rocky Top Sports World has put together three ways kids and teens can increase stamina and endurance. A big mistake many young athletes make when trying to improve their stamina and endurance is making their workouts too intense too fast. Jumping right into expert-level training will only leave you feeling overwhelmed and discouraged. Instead, begin your endurance training with some moderate intensity cardio that lasts for at least 15 minutes. A good indicator that you are at the right level of intensity is if you are breathing hard but are still able to talk. Once a young athlete can stay active for 15 minutes straight, they should slowly increase the number of minutes they exercise (but not how hard they are exercising). When an athlete can successfully complete a 30 minute cardio workout, they can start to make their routine more intense. If you are ready for a more challenging endurance workout, we recommend circuit training. Circuit training is a type of routine in which athletes move from one exercise to the next with only a brief break between each activity. When you finish all of the exercises you “complete a circuit”. Another great way to help you play longer and harder is to make practice more challenging than actual games. When you really push yourself to the limit during practice, gameday will feel less intense by comparison. For example, if you have to play for 20 minute intervals during a real game, try playing for 30 minutes straight during practice. Enduring a lot of stress while you practice will pay off big time when the stakes matter. For more helpful workouts and strategies for young athletes, be sure to attend one of the youth sports camps at Rocky Top Sports World. Our camps are led by athletes and coaches from the collegiate and professional level who bring years of experience and insight to their sport. Check out our Tournaments & Camps Calendar to learn about all of the upcoming events at Rocky Top Sports World. This entry was posted in Trends in Youth Sports on December 27, 2016 by rockytopsports.